Once motherhood comes knocking – mommies always let their careers take a back seat, and begin to focus on their child. This is not only true for normal working women, but also for celeb moms. Take a look at these celeb moms who took a break from Bollywood. Bollywood has no dearth of talented woman, but when it comes to motherhood, even the leading ladies of Bollywood knew their priorities well. 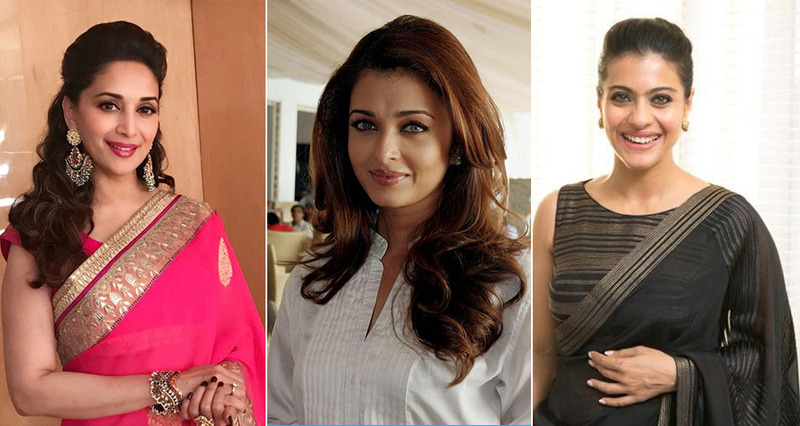 Take a look at these celeb moms who took a break from Bollywood. Aishwarya is not only an actress, but a global fashion icon. All the spotlight of the world was not worth it when she finally decided to have a family. She got married at the peak of her career with blockbuster successes like Guru and Dhoom 2. She was criticized for not losing her pregnancy weight quickly by many celeb magazines – but Aishwarya didn’t care. Once her daughter became a toddler- then only Aishwarya considered getting back to her work commitments. Kajol is a dusky beauty who sizzled on screen in movies like Dilwale Dulhania Le Jayenge, Kuch Kuch Hota Hai, and Baazigar. She was still riding high on the success of these blockbusters when she decided to get married and have kids! Once her children were well settled to their school routine she marked her comeback with My Name Is Khan. She has proved her talent time and again. Now that’s one talented mom! Yesteryear actress Mandakini was no less than a legend for her performance in Ram Teri Ganga Maili and Aakhri Baazi. Though she was extremely talented – she chose a life away from the limelight. She married a Buddhist monk and moved on to building a family, away from Bollywood. Namrata Shirodkar got instant fame and became a household name because of Vaastav and Bride and Prejudice. Despite having successes under her belt, she chose to step away after her marriage to South Indian superstar Mahesh Babu. Her career, beauty and talent – everything took a backseat after she gave birth to kids. Meenakshi is actress who had amazing hits like Damini and Hero. All of Bollywood was surprised when she turned her back to Bollywood. She stopped acting after marrying Harish Mysore and moved to US with hubby and two kids. Neetu has been acting since she was a child. After attaining so much stardom at a tender age of 18, she still chose to quit Bollywood when she had kids. She got married to Rishi Kapoor at the age of 21. After her marriage she didn’t do many films, and stopped completely after having kids. Now, her entire schedule revolves around her family and kids. That’s one dedicated mommy! Sonali had limited success as an actress, but she made her mark in Sarfarosh with Aamir Khan. She had just begun gaining popularity when she took a sudden decision to leave Bollywood, and have kids. She didn’t really work much after marrying Goldie Behl. Now she enjoys being a happy stay at home mum. She still manages to host some reality shows and cameos in some movies. Twinkle has never failed to impress her fans with many cool and romantic hits. After her super hit movie Love Ke Liye Saala Kuch Bhi Karega she got married to action actor Akshay Kumar. They had been co-stars for long and even done a couple of movies together. She now enjoys her married life with kids and runs her interior design firm as well. Who hasn’t been mesmerized with Madhuri’s dance moves on screen? Hum Aapke Hain Koun and Dil To Pagal Hai where the highlight of her career. She was the undisputed dance queen of Bollywood when she quit Bollywood post marriage. She and Dr Nene moved to the US and had a well-settled married life with kids. She made a stunning comeback with Aaja Nachle, and now love judging various dance shows. Dimple was lucky to get married to her celebrity crush, Rajesh Khanna. When had a promising career ahead of her – but at tender age of 16 she got married and gave birth to Twinkle a year later. Motherhood and it’s demands took over and DImple left the spotlight to look after her daughters. Today, she runs a successful candle making business and has been spotted in a couple of movies playing the mother figure. Did we miss any actress who also choose motherhood over acting? Tell us in comments below! !